"New Bold Leadership In The White House And In Bismarck"
To get someone to listen, Keep calling back, If they wont listen call CNN 404-827-1500, (The Sheriff, The FBI did not listen at Parkland) Please do not use the system to cause trouble, Use it to stop trouble. 2018 - 2019 Budget Of $103.2 Million - Deficit $2.8 Million - Debt Of $74 Million - 14K Per Student Cost - Raises For EXECs - Rising Taxes - Build 3 To 5 More Schools! Adults First - Stand Up! "Kill All The Blacks"
Where she lives & kill her! Out of control costs & debt! "52% of Minot teachers report being physically assaulted by a student" Return To BK/ND Real Estate Page "Eventually each school will write a school safety plan"
"A free people ought not only be armed, but disciplined" George Washington, Educate yourself of the intent the founding fathers saw when they wrote the 2nd amend. It's about the People controlling their Govt. George Mason made explicit his deep set belief that the individual armed citizen was the key to protection against govt. excesses and in defense of freedom. 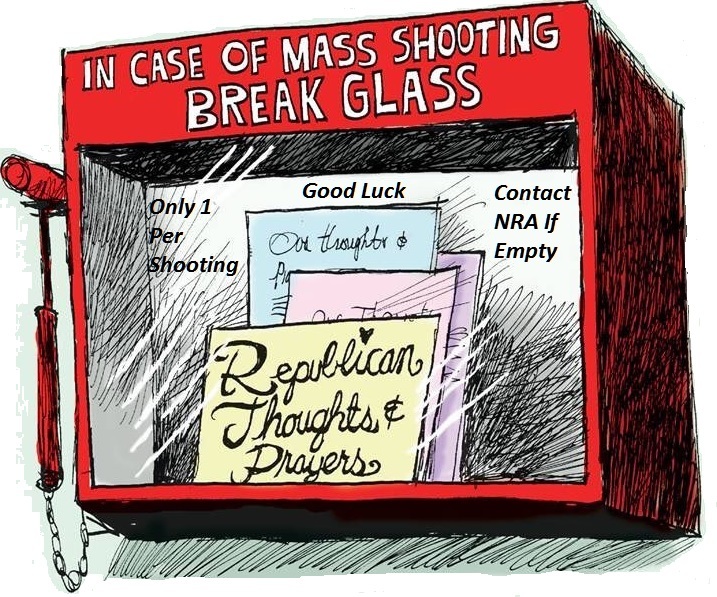 It says nothing about a NRA, killing, murder, or threats. These two young humans have more to say about whats real, about the future of young people and country, then the Minot School Board or Superintendent has to say! No they were young, their not anymore, their humans that grew up real fast on 02/14/2018, they were getting shot at with a rifle at school, their School District failed them and got 17 wonder filled humans killed. "I became an activist because parents don't know how to use a fxxking Democracy! "David Hogg So true as the Government "Swamp" keeps piling up bodies, hate & debt. 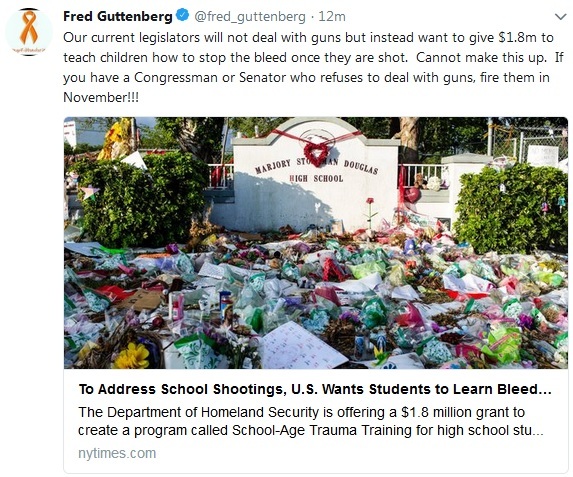 He is correct, the politicians / lawmakers, administrators, they want you to forget about it, The young people can not and will not forget, It's them being shot, being killed. David Hogg is correct, we are not using our Democracy to stop the Kings hate from destroying it. Sad that his photo is in Public Schools. When is the next Hate Shooting? "I could stand in the middle of 5th ave. and shoot somebody and I wouldn't lose any voters" King Trump - Where there's a Swamp there's Quick Sand full of Hate, Racism, Bigotry, Fascism - They All Teach Evil. A True Patriot, Commander, Leader, Never Forgets There Education - The Sacrifice Paid for Freedom, Free Press, Free Speech, Free Ideas, Free Will, Free People, To Have & Hold Dearly for a Free America. Children are Tomorrows Educators, Soldiers, Leaders - "Through your actions, you have embarrassed us in the eyes of our children, humiliated us on the world stage and, worst of all, divided us as a nation." 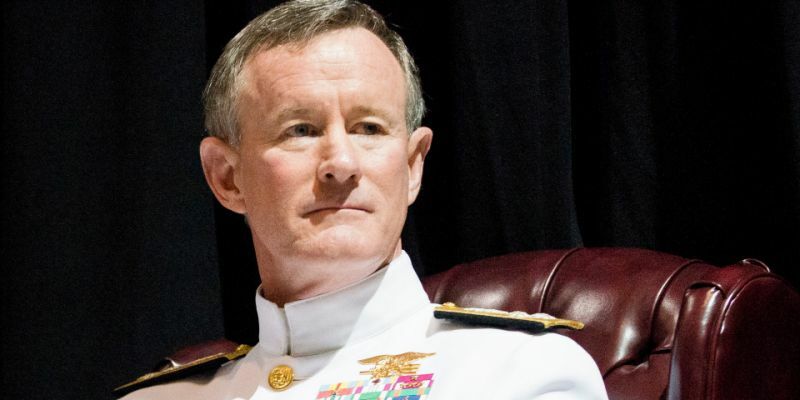 US Navy Admiral William McRaven retired, US Navy Seal, Commander US Joint Special Operations, Chancellor UT System - The Patriot that commanded the raid to capture or destroy Osama Bin Laden. You may be right It's all a waste of time I guess that's just a chance I'm prepared to take A danger I'm prepared to face What kind of difference Can one person make? Public Education is the Engine of the Western World - The Free World Cut To The Chase Young People are the Future of our Democracy - Of America - Get Them To Vote - To Engage & Change Govt. It was about learning, It was about building character, It was about respect. It was probably more fun then a barrel of Monkeys and they didn't need millions and millions of dollars for extra curricular activities. Something is Wrong with the Cost of Public Education! 2018 -2019 Budget of $103.2 Million - Divided by 2017 enrollment of 7523 students, is $13,727 per student. That's more like College Tuition, then Public School! In fact UND Williston is shown at $5,163.00 for a year. Even with another 5k, 6k for food and board, College cost less then a year of Public School. Take 20, 25 first graders, times 14k a piece, cost 280k to 350k for one classroom, for a year. We know the teacher isn't earning 280k, 350k for salary and benefits. What are they learning? Neurosurgery, Nuclear Science? So why are teachers having to buy supplies?, place adds on donation sites?, and supplies from charities? Travel $312K to 337K, Per student $44.79 - Difficult to count with different titles and all over the budget. If there was transparency the travel budget would be broke out, who went, where they went, why they went, when they went? This day in age with Technology - Is all that Travel Necessary? That money should go to the kids, so they have a future to travel in. Improvement of INST Service - Page 20 - $548K - $50K for a Staff Development Mentor! - $90K for travel! $50K would have paid for a keep my kid alive for development security officer! $90K it just goes on and on. EXTRA Curricular Student Activities - Page 27 - $1.8 million, with $1.2 million for salaries and retirement, SS tax. Charges in there of $410K for Purchased Services? Rentals 50K?, Supplies 45K?, Equipment $87K?, Uniforms for $60K, Travel and dues for coaches 12K. Special Education Transportation - Page 25, $725,000.00, Last year was one million. Security Officer Page 24, $76,587.56, Per student $0.027 Per Day. While $0.123 cents Per student, Per Day is spent on Travel, Go Figure! But there's no money for teachers raises, and to write a School Safety Plan! Yet alone they want you to pay to build more Schools Yes They Do! It's a lot like the City Budget - Full of Phones, Travel and Big Money, Big Benefits for Those On Top! If this budget had lump sums of the categories instead of spread all over then you could quickly see where these monies are going! A Summary, A Cover Letter Explaining What Changed, etc. As you can see below the EXEC Administration Superintendent got raises and will be traveling more, buying more equipment, using more miscellaneous money. 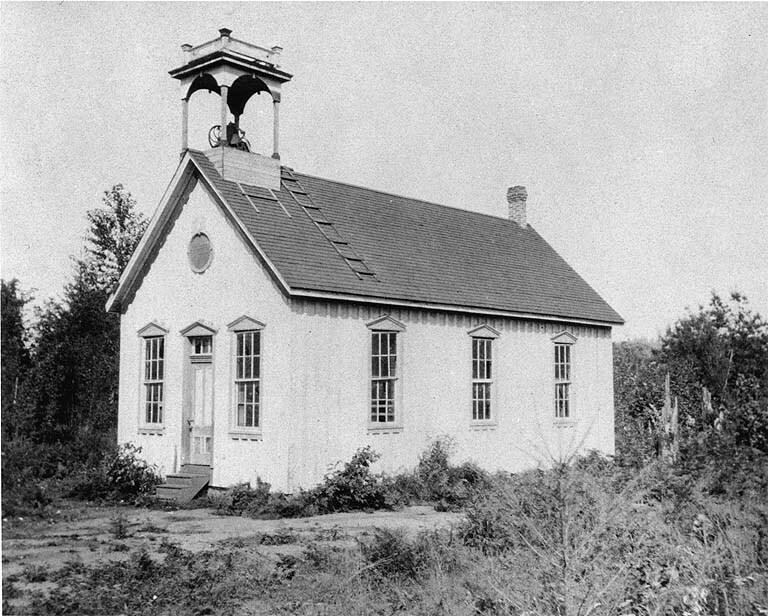 What the Taxpayer got is more taxes, impeding their ability to buy or replace equipment and having miscellaneous money, and the teachers got $0.27 cents a day. But according to the school board member we are in a "deficit" and people are getting their faces slapped. Apparently some get slapped and some get money. 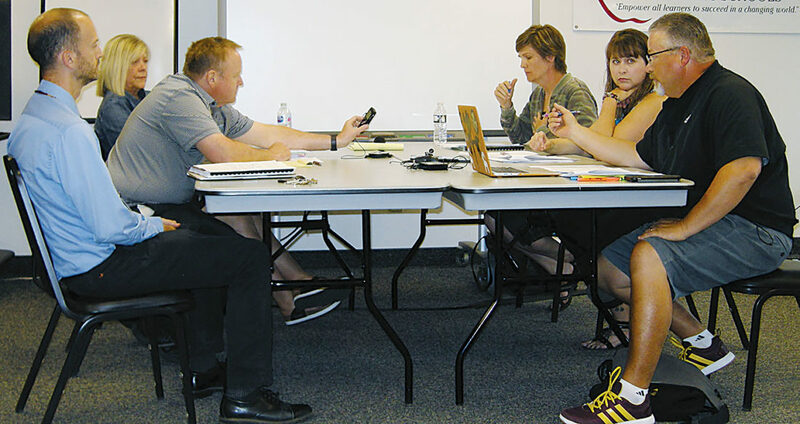 (Laura Mihalick, Minot School Board Negotiator) "You deserve raises but when we are in a deficit like we are...and you may think it's a slap in the face but it's something." The teachers got a hundred and the EXEC Administration got Thousands! If you look at other Administration Areas after this one in the budget, they all received raises and bumps up for Travel. The budget doesn't break out who got the monies? Page 21 - 22 of the budget - Just shy of a Million Dollars for the Superintendent and Administration. 142k for secretaries, 8k for an Annuity, 18k for travel, 23k for Supplies, Equipment, Misc. It cost $2498.00 a day to administer the school district, $0.332 Per student per day. It cost $829.68 a day to have the school board, $0.110 per student per day. Is This a Public School System or A Wall Street Corporation? They sure treat it like a poorly managed Wall Street Corporation. Does The Minot Public School District Have A Private Jet? What they spend on travel they should get one. They do not break out individual salaries, they lump them all together. Public School System and No Transparency! Does the Board ever question the Budget, do they ever really break down the numbers, really manage the system? 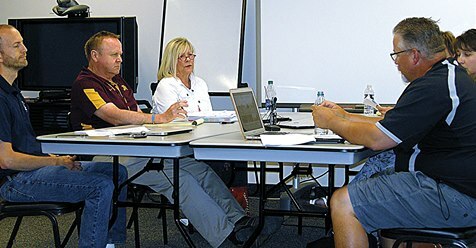 The School Board - They Look Really Concerned About Your Money, Your Kids & Writing A School Safety Plan! You can't even dress the part of managing a School System with a $100 Million Dollar Annual Budget of Taxpayer Money - Apparently it is funny. Totally Unprofessional. 88K per school, Big Joke. You read the story and it is just flat out rip off mismanagement, bunch of lawmakers and administrators that couldn't manage a rummage sale. Look for more mass incidents. They fixed nothing. "Broward county voters should vote to raise taxes to save our Struggling Schools"
Why is it always Moum who is the aggressor, the negotiator, with the teachers? How much does he get paid? Is he willing to take a pay cut for the greater good? All these people are public employees, there pay is public information. Yes hes the one leering with the Smart Phone, Maybe hes explaining every kid has one, But Nobody knows how to build one. That wouldn't be fun. The two school board members they aren't going to say anything, they never have said anything. The guy that should be there isn't. The face of the District! What message does this photo send? To Kids? To Parents? To You? Rage, Intimidation, Bullying, Anger, Arrogance - Everything you would want your kids to have from a Public School System. What are they telling the teachers? "You deserve raises but when we are in a deficit like we are...and you may think it's a slap in the face but it's something." Ask yourself, your spouse, your child, your employee where the equipment and miscellaneous money went! "Some 52 percent of teachers in the district who said on a Safe Schools survey that they have been physically assaulted by a student". Now imagine if 52% of the students said they had been physically assaulted by a teacher? You would have Robert Mueller and the DOJ in Minot. Says nothing about it or what is to be done about it. He gets paid the Big Bucks and you hear nothing from him. He Tweets A Lot - Nothing about the budget - Nothing about working to cut costs - Nothing about the future, how to get out in front of it. Nothing about security - Nothing about all the debt being back loaded on the futures of all these kids - Nothing about the debt their going to pay one day for today! Nothing about a safety plan - Nothing about teachers being assaulted - Nothing about raises! Even the Teachers need raises to pay Taxes for the Public School System and The increase in spending in his EXEC Administration during the Deficit! This was published in the media - Nobody says a word! 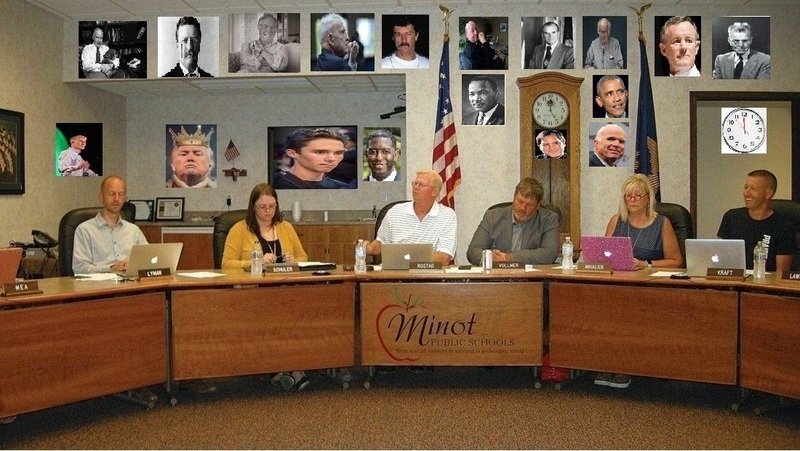 What Is Happening In Minot Public Schools? Some 52 percent of teachers in the district who said on a Safe Schools survey that they have been physically assaulted by a student. According to material submitted by the Minot Education Association to the fact finding commission. spit on and bit by students, had their property damaged and suffered other injuries. A special needs student in another classroom “was obsessed trying to pee on me (and paras),” wrote another teacher. “He also would poop and throw it at people in the room. Some 45 percent of teachers said on the survey that they have been verbally assaulted by students. Some students have called them vulgar names or swore at them. Some teachers said they have had students threaten to kill them or harm their families. 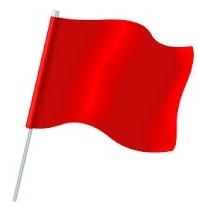 There are no resources, which has placed myself and students at GREAT risk. Amazing If Adults said and did what these kids are saying and doing they would be in jail. Superintendent Mark Vollmer - "Eventually each school will write a school safety plan". Thats incredible - This day in age - How many schools operate under the Eventually Plan? The parents and taxpayers need to wake up, this school system sounds like it is one day away from a mass incident! "North Dakota schools must have safety plans and regular assessments of potential threats" These are the people running our schools! Go tell that to the Loved Ones who went to school to learn and teach and never came back home! The Minot taxpayers spent $3.0 million on technology, communications in the budget, he should use it and see how rare they are. They are so rare that as of May 2018 the US was only averaging more then one a week, they are so rare their have only been some 288 of them since 2009. They are so rare that the other 6 of the G7 countries combined have 57 times less school shootings then the US. They are so rare that more people have been killed or injured in school shootings in the last 18 years then in the entire 20th century. They are so rare that only some 200,000 kids have been directly exposed to them. They are so rare the FBI did not even go find the Parkland Shooter, when they were tipped of where he lived and told exactly what he was going to do. They are so rare that Governor Abbott of Texas had a Shotgun give away on his public website. They are so rare that Governor Abbott of Texas scalded the state for embarrassing him because they weren't buying enough firearms. They are so rare that Texas Senator Cruz asked God To Bless The NRA, they are so rare he can cook bacon on his rifle. They are so rare that the King took $36 million from the NRA and mocked shooting victims at the NRA convention. They are so rare that the Kings one time personal lawyer who has plead guilty to Federal crimes stated he would take a bullet for the King, it made him very popular, with prosecutors. They are so rare the King has allowed the ability to download and print untraceable, undetectable 3D Weapons. Vollmer should take some taxpayer travel money and go to the funeral of a 14 year old girl and explain to her father how rare school shootings are! Then see how fast he can Run! When asked about the teachers and there reports of assault and threats from the survey. "A committee made up of teachers and administrators will be formed this year to address school safety and he expects many good ideas will be coming out of those meetings"
This should have been done before school starts, policy, rule of discipline, rule of law, everyone's safety and welfare comes first. That would be rare! They're so rare when you Google it you only get 2 million results! They're so rare huge groups of rare young people want it to become extinct. The current FBI definition of mass murder is 3 or more murdered in one event. Here are Two Rare Dads that would take Real Issue about what is Rare - Certainly Not The Lack of Intelligence from Lawmakers & Administrators. There are a lot of moms, in every town, in every state, in every country, who don't think school shootings are rare? 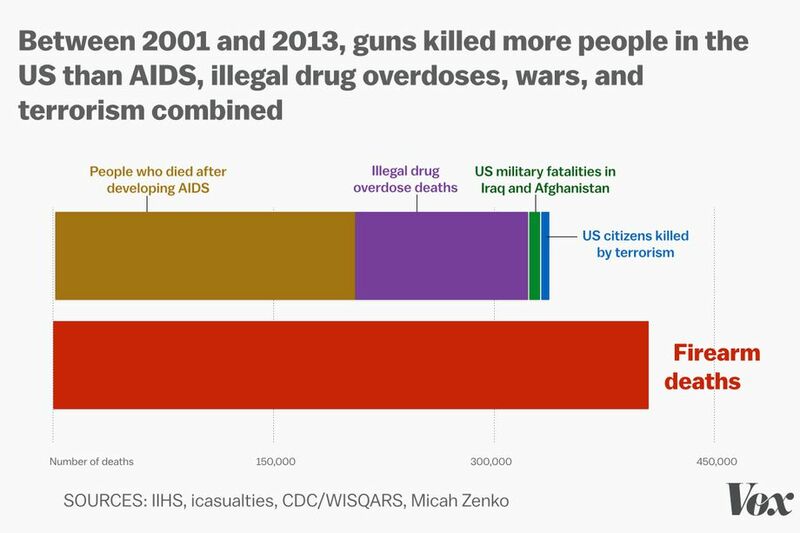 Some people would have you believe that gun deaths overall are rare. $282,926.03 a day and they come up with $209.83 a day for security. $76,587.56 divided by 365 is $209.83 a day divided by a average of 7500 students is $0.027 Cents per Kid. Add in all the staff (unknown how many staff members) and it drops even more. In comparison the Superintendent administration cost $2,498.00 a day. 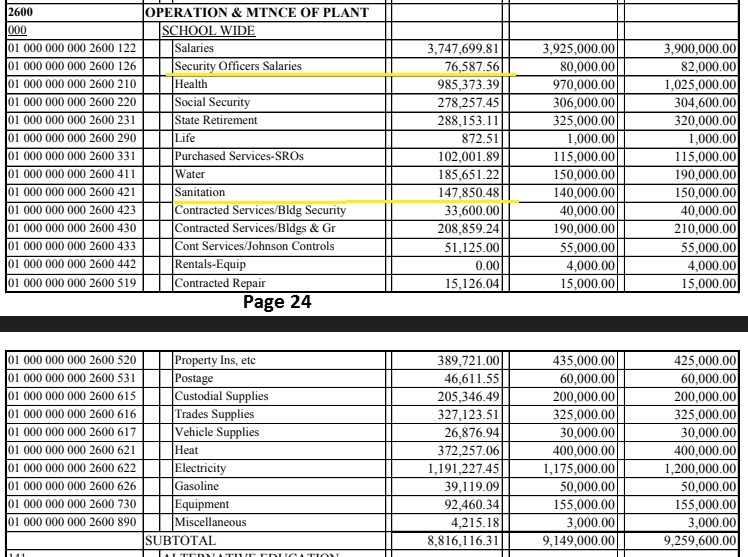 - $911,880.00 divided by 365 is $2,498.00 - Page 21, 22 of the budget. Ask yourself what would be more important to you, for your kids, for your Loved Ones then a good public education and good educators? Is it the Superintendent's pay? Is it all the extra curricular activities? Is it unlimited fun? Is it more and bigger buildings? Is it the knowledge the school district has (should have) your loved ones back with security and discipline. Like the Man has said "FixIt". It might be enough to pay for the gasoline to start your car engine to go Teach! - It is ten times the amount spent on daily security $0.027 Cents. They spend roughly twice as much on taking the garbage out! As they will on Security Officers! The Cost for Security is Cheap - Ten of Millions Cheaper Then Lawsuits. Minot has 16 schools, three are at Minot Air Force Base, you would think they could provide their own security. 13 schools times $80K a year for a security officer, is $1.1 million a year, is $0.400 cents Per student, Per day. It is costing $13,727 for one child, for one year at Minot Public Schools, $37.60 a day, whats forty more cents. School safety is a hot topic these days with shootings taking place in schools across the country, in rich neighborhoods and poor alike. But school safety doesn’t just mean identify potential shooters and prevent them from carrying out any plans they’ve already hatched. It’s about teachers not getting punched by students. It’s about protecting students from all threats. It’s about protecting the learning environment. 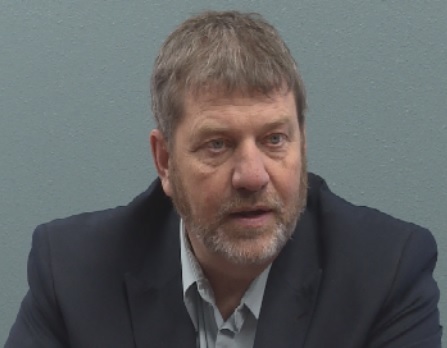 While Minot Public Schools has not had a shooting – thank God or knock on wood – it seems not all is well within the walls of our schools, and teachers are speaking out. How bad the situation is depends on who you listen to, or believe. There seems to be a lack of documentation concerning past incidents that teachers have recently disclosed to their negotiating team. administrators and parents can agree on. At issue – what should the protocol be for handling an assault on a teacher? Teachers also must, must know that they can report any incidents of violence or destruction of their property without jeopardizing their careers. Those two elements should just be the starting point. The teachers have a proposal; now there needs to be candid communication. Teachers and their representatives should begin hammering out new policy with administration related to these serious concerns ASAP. That is not asking too much from a group of highly educated, motivated and compensated professionals. They are playing a Dangerous game with peoples lives. It stinks from here to Parkland Florida. This is a Public School System, not a private one. What is the plan, what is the policy for teachers. Does this look like a group of highly educated, motivated and compensated professionals? then why are they allowed to work around children? Is this why children are assaulting the teachers? Is this why the district does not seem to be concerned about the assault of teachers. The reference to a slap in the face has been used by the board towards the teachers in wage negotiations. when the nation has a king who boasts of shooting people and not losing popularity, when your the Board Member of a $100 million dollar Public School System! Let's get this straight, in this public school system the security and welfare of students and teachers comes first, we cannot have education and disorder. There have been to many incidents as of lately where kids have been lost in school systems and or harbor those thoughts and they get really lost, violently, terribly lost. We need the students, we need the parents, we need every taxpayer to know that their is rule of discipline, it starts with all of us, there will be education and order. Second, when it comes to money, we have a massive budget of 103 million and a debt load of 74 million, Iam asking all of you to sit tight for the next year. We are not giving anyone a raise, we are cutting all items that are not directly related to the education and welfare of our kids and staff. we are not the judge of them, we are the adults, the educators, how can they learn without nutrition, how can they feel needed in society without respect. We live in a Ag and Energy state, does anyone have an excuse why a child should go without fuel to feed their fire for life? I didn't think so. Here is highly compensated - some 8000 lives in play and you don't hear one word about any of this. One Dad Trusted his School Board, Politicians, and Law Enforcement were doing the right things. His Daughter paid for that Trust with her Life. No parent should ever have to live with what he and so many others are. The mistakes made at Stoneman Douglas would fill a book, from the FBI, to the coach seeing the shooter enter school property and said nothing! and hiding outside instead of entering the building, to a sheriff who has not been fired and a corrupt school board to be voted out. To the President & his listening session, he listened all right to the NRA. The checklist of cowardice & betrayal knows no end at Stoneman Douglas. They were all Asleep at the Trigger and Living in a Dream World of Political Correctness, that Cost a Nightmare of Loss of Life. The fire alarms had been triggered from the coward shooters gun recoil exhaust on the first floor, she was on the third floor. The teacher unknowingly started to evacuate the class, in the hall and staircase all evil broke loose, as the coward came to the third floor. Meadow was shot four times in the hall evacuating the classroom, then shot another five times trying to get back to the classroom. The teacher had locked the classroom door. The bathrooms were locked (stupid school policy) and she couldn't go there. Meadow tryed to shelter another student at the locked classroom door, Meadow couldn't stop the bullets with her body, that student perished to. Tremendous Courage, Tremendous Warrior's, Tremendous Patriotism, Tremendous Human's, Gone Forever. Caught Off Guard at a place where Kids and Teachers should not have to be On Guard - At A Public School. All the time this was happening the School Resource Coward was hiding outside, he could have engaged the coward shooter on the first floor. Or better yet for a safety plan and the hiring of security guards. What about kindergarten kids, elementary kids, every age group has been involved in school massacres. Have you ever seen the damage from a high powered rifle at close range, a shotgun at close range, a 9mm and using Serrated bullets? Then try and administer first aid under fire. Oh Jesus, Oh God what have we done to our schools? Their job is not Law Enforcement, you should be thanking and supporting the officers who did shut down that madness. You should also be breathing down the FBI's neck for their grave mistakes they made in advance of the Parkland Massacre. You should applaud these two for using their freedoms guaranteed by the constitution that your husband is supposed to interrupt and represent. But what would a "useless piece of garbage" know when she & her husband can be taxpayer afforded protection by the US Marshall's Service. Why would you mock humans who witnessed a massacre, a blood bath, at a Public School in America? 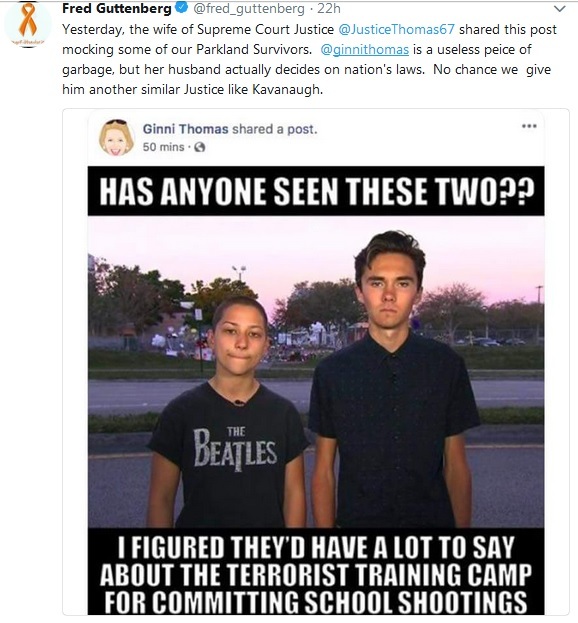 How many possible, future Supreme Court Justices have died in school shootings? All of Them! "useless piece of garbage"
Young men are supposed to flirt and love young women, not take their lives. Three of so many Lovely ladies that are gone. But Never Forgotten. Meadow, Jamie, Mollie. Read the tweet below and ask yourself, what are we doing? This Hate, This Evil, This Corrupt Cruel Administration! Then go hug your loved ones, Hug them like tomorrow is that day, just in case. August 2018 - In the Beginning the Parkland Shooter Had Asked For Help & The School District Screwed It Up! Sept. 2018 - Newly released video of the shooting in real time as the coward deputy hid outside and the police responded. Full scale stupid unorganized Police response and how the school resource sheriffs officer is sleeping on the job after the shooting!